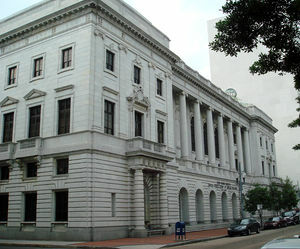 Located in New Orleans, LA, the Fifth Circuit Court of Appeals hears federal cases that arise from the federal district courts of Maryland, the Eastern District of North Carolina, the Middle District of North Carolina, the Western District of North Carolina, the District of South Carolina, the Eastern District of Virginia, the Western District of Virginia, the Northern District of West Virginia and the Southern District of West Virginia. 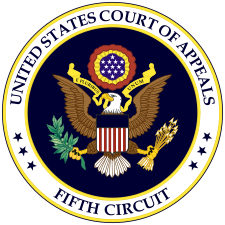 The Fifth Circuit has strict standards for the printing and filing of appellate briefs, and these standards differ from those of the other federal circuits. The starting point for a filling is, as always, the federal rules of Appellate Procedure. 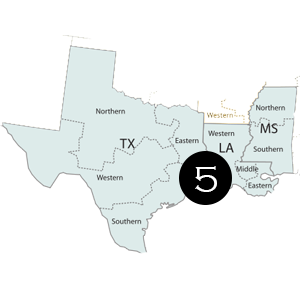 From there, the rules are modified by the local rules of the Fifth Circuit. Seven copies of each brief must be submitted along with one service copies to each party. Filing paper copies requested by court after document has been e-filed and reviewed by clerk. The Fifth Circuit specifies an order of sections to the document. Record excerpts shall be filed in lieu of the appendix prescribed by FRAP 30. Four copies of the record excerpts must accompany the appellant’s brief. The record excerpts must be tabbed and numerically indexed. The record excerpt must contain the record excerpts must contain copies of the following portions of the district court record: The docket sheet; The notice of appeal; The indictment in criminal cases; The verdict of the jury in all cases; The judgment or interlocutory order appealed; Any other orders or rulings sought to be reviewed; (g) Any relevant magistrate judge’s report and recommendation; Any supporting opinion or findings of fact and conclusions of law filed, or transcript pages of any such delivered orally; and A certificate of service.